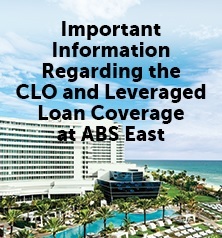 In order to accommodate the demand for increased CLO coverage at ABS East, IMN is excited to host dedicated CLO panels at the official nearby co-host property, Eden Roc. Delegates will benefit from a large session room, proprietary meeting space, and the opportunity for exclusive networking opportunities with peers in the CLO space. All plenary sessions and main events will still be held at the Fontainebleau, and the CLO panels will be scheduled to allow time to travel between properties without missing any coverage. 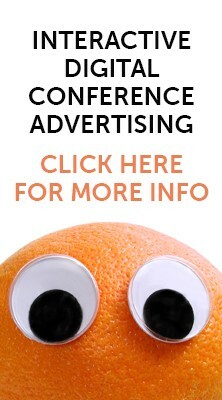 The following sessions and refreshment break will take place in the Main Ballroom at Eden Roc. Attendees must first register at the Fontainebleau. - This workshop will provide attendees with a strong foundation by explaining the CLO structure, the definition of a leveraged loan, and other key fundamental concepts in the CLO sector. - Update on the pricing, volume and supply of leveraged loans: is the collateral getting harder to source and more expensive to acquire? - Are competing investment vehicles such as TRS and loan managed accounts/retail funds responsible for drying up CLO collateral? - What is the impact of risk retention on lending volume by banks and other alternative lenders reliant on ABS as a funding tool? - With July 2017 as the last extension for Volcker for all the banks, what will become of $30 billion in outstanding pre-crisis deals with bonds in the collateral mix? - Whats next after commodities? - What is the near term outlook for company performance in these sectors, have we hit rock bottom or do we have further to fall and how might that impact CLOs with a larger exposure to these sectors? - Defining the energy sector: Utilities, alternative energy, oil production, oilfield services and exploration, natural gas; how does the definition of the energy sector impact the estimates of total CLO exposure and likelihood of default risk? - How much do falling oil and gas prices really impact the CLO sector, have we seen benefits as a result in other sectors e.g. retail, healthcare, metals and mining ? - Sector watch: Besides energy, what other sectors may be cause for concern, and when? The following sessions, refreshment breaks and delegate luncheon will take place at the Eden Roc. - Will Q4 and Q1 2017 continue to see more volatility and how prepare? - Is there now a clear demarcation between a good vs. bad manager, is manager tiering more pronounced? - Outlook for arbitrage: What is the future of the CLO business if arbitrage opportunities continue to look weak? - What are the various strategies being developed for smaller managers without the ability to finance via their balance sheet or private equity? - What is the opportunity cost of funding the risk retention piece for asset managers, i.e. putting $25 million in an ETF and growing that vs. doing another CLO? - Are we experiencing an oversupply from the boom years of $90 -$100 billion in annual issuance? - How liquid is CLO paper? Are potential downgrades of outstanding issues harming liquidity? - Are widening spreads making secondary CLO paper more attractive to investors? Does this come at the expense of the primary issuance market? - Have investors strategy changed amid a stressed credit environment? What lessons, if any, have been learned? - Has the investors view of the managers changed? 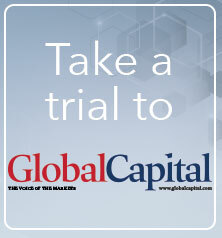 - How has Volcker and Risk retention affected the way these deals are managed? - Effect of credit markets instability and falling commodity prices on default probability? - What offers better value these days: USD equity vs Euro equity? - Where is CLO arbitrage going? - How can the AAA investor base continue to be developed, and who are the new investors? - Will we see robust European CLO issuance in 2017, or will evolving risk retention requirements, political developments, and a shrinking investor base create a barrier? - What will be the ultimate impact of the Capital Markets Union on the CLO market? - What are the macro economic factors that will impact spreads in 2017? - What are the CLO transaction economics needed in order to stimulate sponsor, debt investor and equity interest? - Is there capacity for new and expanding overseas CLO managers, or is the market already experiencing crowding? - Profiling the investor: are hedge funds and private equity still the main suppliers of mezzanine capital, or are there new entrants? - What CLO metrics are important to a CLO mezz investor? - Is there a massive shift in lending volume from banks to non-banks on the horizon?